What can be more popular background for your Las Vegas wedding ceremony, than the Las Vegas Strip? 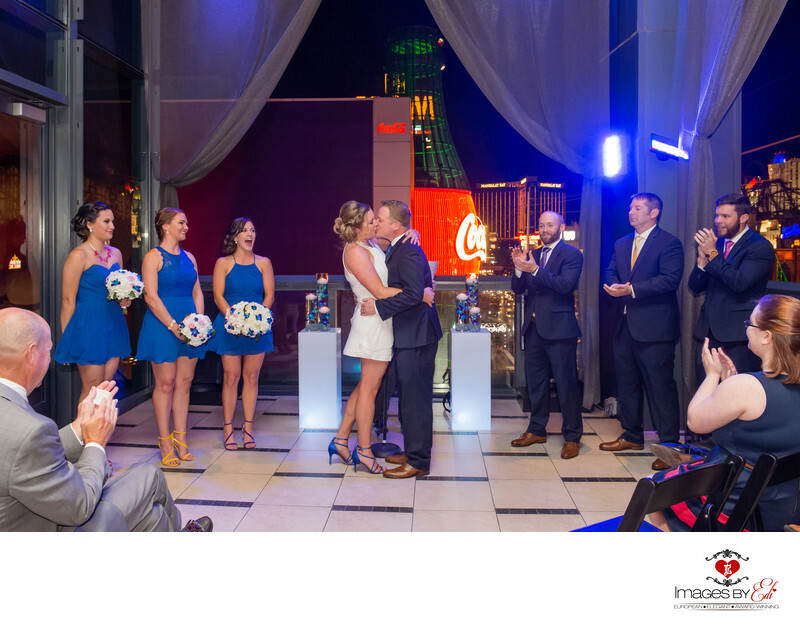 This wedding couple picked the Hard Rock Cafe Third Floor Patio for their wedding ceremony and the room connected to the patio for their wedding reception. The end of the ceremony the bride and groom kissed each other on the outdoor patio while the neon signs were glittering behind them. The location allowed their guests to party indoors and also gave easy access to enjoy the Las Vegas Strip view outside on the patio. Location: 3771 S Las Vegas Blvd #120, Las Vegas, NV 89109.